Now through Friday, October 4, I'm offering free domestic and international shipping in my Etsy shop! Simply enter the coupon code YAYFREESHIP at checkout. I've got lots of pretty fabrics by Umbrella Prints in stock, including a few fat quarter packs, along with quilts and pillows. All orders will ship on Saturday, October 5. 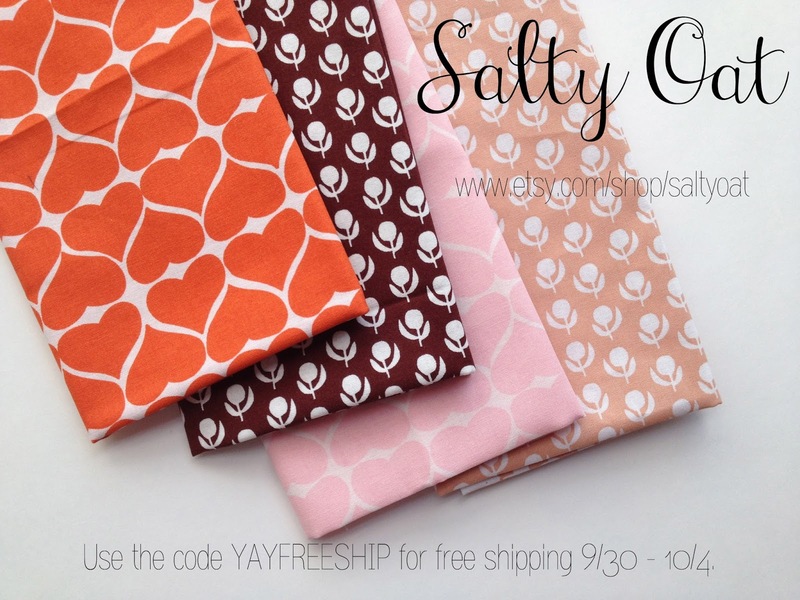 Home / Blog / free shipping week!